Key West, Florida has been home to many famous and not-so-famous writers, musicians, and artists. While Ernest Hemingway may be the most famous writer to have lived and written in Key West, there are many other writers who have called the once called Isle Of Bones home. This article will explore some of those other talents and look briefly at their time on the island. Some of these writers may be well known and others may not. However, all of them have made their contribution to American writing and have, at one time or another, lived on the beautiful little Floridian island at the south end of the continental U.S.
Tennessee Williams first visited the Florida Keys in 1941 and, after buying a home in 1950, lived on the last island in the chain until 1983 when he passed away. While he spent much time traveling, his house at 1431 Duncan Street is a veritable icon of literary tradition on the isle. Tennessee Williams was a playwright who wrote many plays including Cat On A Hot Tin Roof, The Glass Menagerie, and A Streetcar Named Desire. His work earned him the Pulitzer Prize two times, as well as two Tony Awards. Today a non-profit organization operates the Tennessee Williams Key West Exhibit at 513 Truman Avenue, where visitors can see first edition drafts of his plays, as well as typewriters, newspaper articles, and various other memorabilia associated with the award winning writer. John Richard Hersey was a writer and journalist who many consider to be the father of what became known as New Journalism. New Journalism uses the elaborate tones and prose of fiction to tell non-fiction stories. In 1945, his first novel, A Bell For Adano, won the Pulitzer Prize for literature. Perhaps one of Key West's more serious authors, Hersey's work focused on the dissolutions of war, the atrocities of the atomic bomb, and a racially-motivated police shooting which he set in the Detroit riots of 1968. He was a professor of both fiction and non-fiction literature at Yale. Hersey also covered World War II as a correspondent where he wrote from the field for publications such as Time and Life Magazine. During the war John Hersey flew with the soldiers who invaded Sicily. He survived four airplane crashes and helped to rescue wounded allied troops from Guadalcanal. John Hersey spent winters at his home in Cayo Hueso, where he died in 1993 at age 78, leaving behind what one fellow author called a shelf of brilliant work. 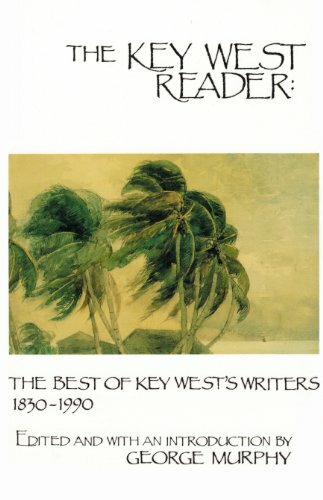 The Key West Reader is a fascinating collection of stories, essays, and poems that are either about Key West, or written by artists who lived there. It is a treasure of tropical Florida's literary history. Author of novels Panama, and Ninety-Two In The Shade, Thomas McGuane lived on the furthest Floridian island south in the 1970s when much of the town's rambunctious reputation was forged. McGuane is brother-in-law to musician and Key West hero Jimmy Buffett (a designation that I am sure he has long grown tired of being saddled with). He lives in Montana these days, but his exploits in Key West are island legend. Thomas McGuane's latest novel, Driving On The Rim, is about a doctor in a small town who encounters all of the calamity one might expect (or not expect) after he tries to arrange a cover story for his buddy's suicide attempt. Read about the misadventures of many famous writers and artists who called Key West home in the 1970s. 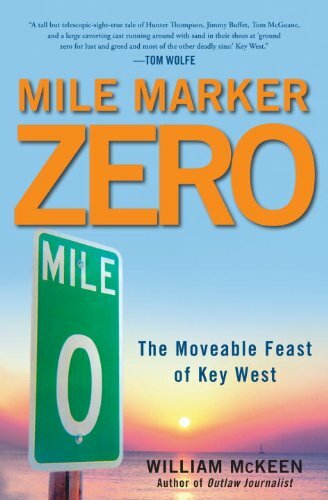 Mile Marker Zero features stories about Hunter S. Thompson, Thomas McGuane, Jimmy Buffett, Tom Corcoran, and a host of other creatives who all wound up in Key West at the same time. Poet Elizabeth Bishop lived at 624 White Street in Key West for nine years beginning in 1938. Bishop was an outstanding poet who wrote such gems as North And South, which was her first published book of poems. It was written during her time on the island. Bishop traveled extensively and lived in Brazil for sixteen years. She battled alcoholism and depression but spent many productive years in both Brazil and The Isle Of Bones. Her poem, Full Moon, Key West is a beautiful yet appropriately contrasting tribute to the island she once called home. Hunter S. Thompson, the inventor of Gonzo Journalism and author of Fear And Loathing In Las Vegas, The Rum Diary, and hundreds of published articles, letters, and essays began to visit the lower keys in the late 1970s to hang out with his friend Jimmy Buffett. After Thompson was divorced he moved to The Isle Of Bones and stayed in Jimmy Buffet's unused apartment there through the mid-eighties. He was known to drive his full-size Buick convertible through Old Town while employing a bull horn to yell phrases like, "Get out of the way you bastards!" to pedestrian tourists crossing the intersections. Hunter S. Thompson's book, Generation of Swine: Tales of Shame and Degradation in the 80's" was a compilation of newspaper columns that the author wrote while living in Key West. 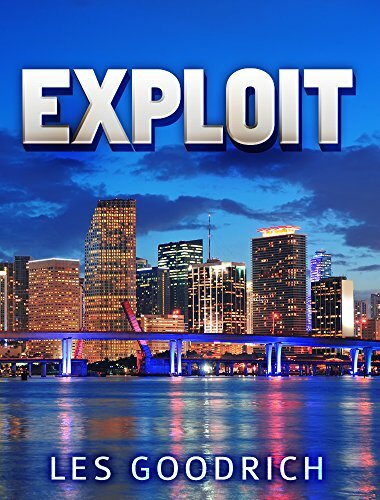 Go on a surreal adventure with rich, handsome rogues Colin and Dolph as they embark on a twisted road trip that takes them from Miami, to Key West, to the very edge of their lives. Exploit: if your enemies don't get you killed, your friends might. Key West, Florida has been home to many writers from the most famous to the most obscure. The island has always attracted and nurtured the creative spirit. Throughout history there have been moments and places in time where great artists seemed to congregate. Paris in the 1920s and New York City in the 1950s for example. Cayo Hueso has been such a place from the early 1900s until today. While the island's most famous writer will always be Ernest Hemingway, there are many other talented and celebrated writers who have lived and written on the tiny island at mile marker zero. Tennessee Williams, John Hersey, Thomas McGuane, Elizabeth Bishop, and Hunter S. Thompson are just a few of the other writers who have made their mark on, and been influenced by, the colorful town at the end of the road: Key West, Florida.